Sometime over the past two years, Twitter changed the nature of modern communication enough that we started experiencing Twitter firsts. The first Twitter revolution. Twitter presidential debates. Twitter World Series. And now, a genuine Twitter superstorm. That's how it felt for the millions of people obediently stuck inside, probably not working that hard, riveted to the course of Hurricane Sandy rampaging her way across the mid-Atlantic. Sure, TV networks and news websites did a valiant job of tracking the storm's wake. But for pure immediacy, nothing beat the photos and observations sent from thousands of phones in New York City, as lower Manhattan sank beneath the waves. So it's worth asking the question: Is this thing really a force for good? Sure is—but there's a hidden downside that shouldn't be ignored. 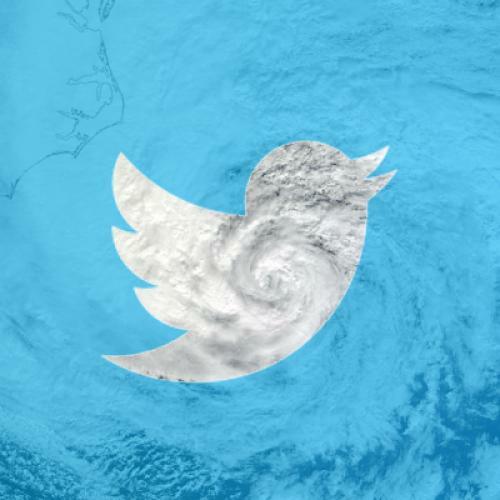 Here are the reasons to love Twitter during emergencies: Government agencies, through a years-long effort to adopt social media, have gotten pretty proficient at broadcasting official information in real time through their verified Twitter feeds. It's an easier and faster way to get marching orders than checking a website or staying glued to the radio. On a more individual level, it's a way for people to let their family and friends know that everything's okay—and a virtual trail of breadcrumbs that could serve as evidence about what the person was last doing should anything happen to them. The Federal Emergency Management Administration even encouraged the practice for that reason (even while the New York Fire Department reminded people to still call 911, instead of just tweeting that something was wrong). Oh, and for entertainment value, Twitter's also a venue for dumb people to put their boneheadedness on record. Brit Hume snarked that "The big federal government some say is needed to deal with big problems like Sandy" went home early in D.C. (other than, you know, emergency personnel). L.A.-based writer Bret Easton Ellis sniffed, "Yet another reason not to live in New York." And Donald Trump was his usual helpful self: "If authorities need direct view from top of Trump Tower, call office." The more troubling effect is Twitter's propensity to spread rumors or outright fabricated information. During various points in the night, you might've been tricked into believing that Governor Andrew Cuomo was stuck in Manhattan, that power had been cut off to the entire island, that ten Con Edison employees were stuck in a building, or that the floor of the New York Stock Exchange was under three feet of water—as CNN inaccurately relayed, citing a National Weather Service report. As a Middle East correspondent noted, even "CONFIRMED" means nothing in the Twitterverse. Sure, Twitter's not the only way to fan falsehoods during a catastrophe; just look at Dan Rather's report of a car bomb exploding outside the State Department on September 11. And Twitter, unlike TV news, corrects itself fairly quickly. Most memes were later debunked by the folks who ought to know, or people watchdogging the veracity of tweeted photos, allowing Twitter to function as a "truth machine." (Buzzfeed even unmasked a tweeter who'd spread several rumors maliciously). But in the meantime, high-velocity non-facts take a toll, creating a layer of panic that may not need to exist. The greater danger of Twitter for disaster response is the same as the danger of Twitter for any major news event: It's totally warped by the distribution of people who use it. Sandy may be the worst thing to hit New York since the terrorist attacks on 9/11. But in case you hadn't noticed, Sandy also killed scores of people in the Caribbean before even reaching American shores. New York just happens to be the epicenter of American media, which means that new outlets can't ignore it, not to mention social media—there are more Twitter users in New York than any other city in the world. Twitter wasn't around during Hurricane Katrina, so we don't really have a point of comparison. But I doubt that, had a tornado ravaged Houston, it would’ve dominated the front pages of the Washington Post and New York Times for days on end, or colored election coverage quite so much. With apologies to the Houston Chronicle, there’s no equal newspaper in that part of the country, and with a less Twitter-crazed citizenry there, it’s harder to understand what they’re going through. Which just means that geographic Twitter bias is something that journalists still have to correct against.